GRAFENWOEHR, Germany — If you’ve spent any amount of time in or around the military, you’ve probably taken the DOD’s Antiterrorism Level 1 Training course … many times. But who’s required to take it? Service members? Family members? Contractors? Department of Defense Instruction 2000.16 outlines guidance on antiterrorism standards and training. Here’s the breakdown. Note that some contractors may be required to take the training. The requirement should be outlined in the contract. The DoD standard for family members requiring Level I Antiterrorism Awareness training is 14 years or older (or younger, depending on the discretion of the DoD sponsor). If you have a Common Access Card, you can take the training at https://jkodirect.jten.mil. If you do not have a CAC, you can take the training at http://jko.jten.mil/courses/atl1/launch.html. 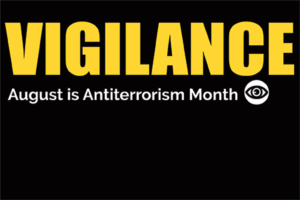 If you have any questions or concerns, visit the garrison’s Antiterrorism/Force Protection page at www.bavaria.army.mil/fp, or contact the garrison’s AT/FP Officer at DSN 475-1330/7714, CIV 09641-83-1330/7714.